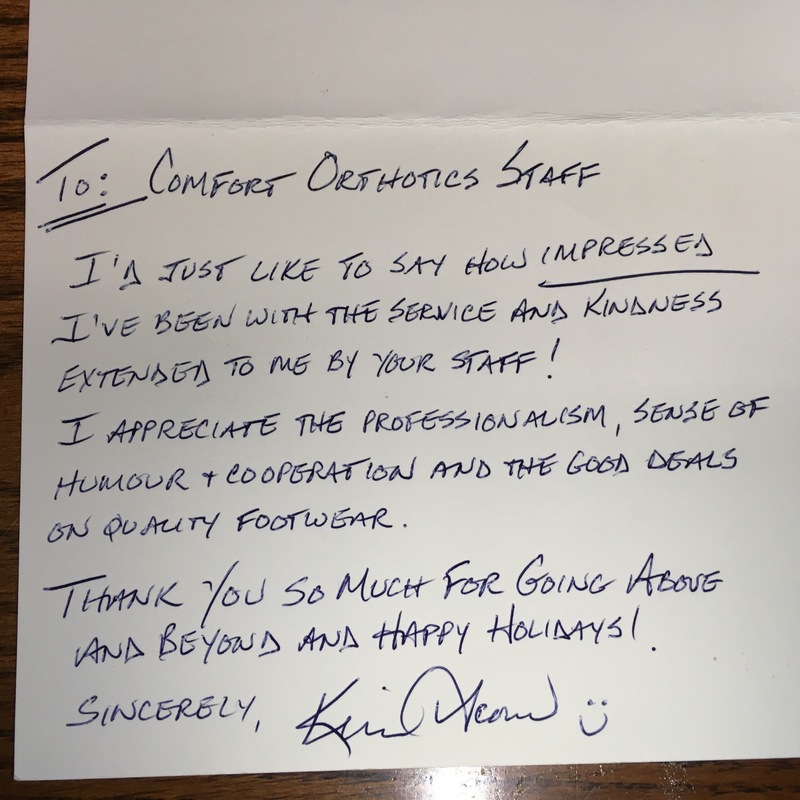 Comfort Orthotics - Testimonials - Bedford - Halifax Nova Scotia. 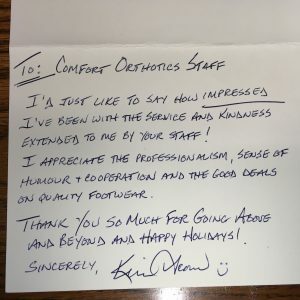 Comfort Orthotics - Testimonials - Bedford - Halifax Nova Scotia. I just wanted to say a big thank you for the superb treatment on my last visit. The front office staff are so friendly and helpful, the appointment is always on time, (really appreciate this as I travel from New Glasgow). 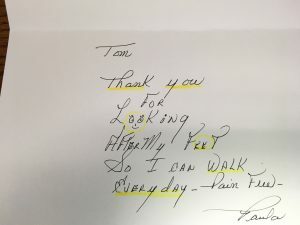 Philip’s skills are excellent and after several years, and several podiatrists, I now have found one who truly has taken the time to understand and fix the issues that have been bothering me. I have total confidence in his ability and recommend his services to all my friends and my local GP. I picked up my new orthotics on the 17th from Emily. I was told it would take me up to 2 weeks to get used to them and to take them off after a few hours if I get discomfort. Well I put them on at 06:15am yesterday and took them off at 4:30pm the same day and had no problem. Thought I’d say thank you so much to Emily for a job well done. Wish my other orthotics would have been so easy and comfortable to get used to. Again well done. My wife Anna & I have been a customer of Comfort Orthotics since 2003. 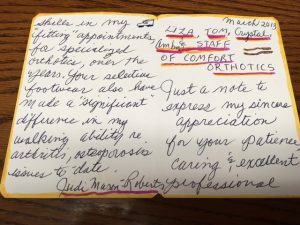 The fact that we have returned every year since then for orthotics & orthopedic shoes is an indication of the quality of their work. Three of our sons & their families have also been satisfied with the professional service they have received. I would have no problem to recommend Comfort Orthotics for your consideration. Satisfaction guaranteed!!!!! My new orthotics are working out well. It was great to have one person measure my feet, make and then fit the orthotic. The continuity of care you offer is superb. 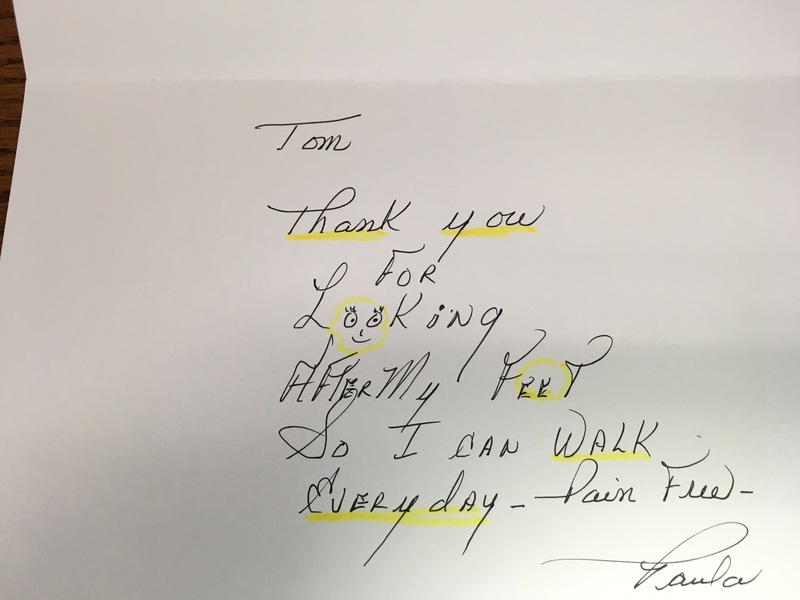 I really appreciated the interest Tom took in my specific needs. I never felt rushed. Most importantly, I learned everything I needed to know about my feet and how to buy good shoes that fit. The front staff was excellent and patient as we dragged out shoe box after shoe box to find the perfect fit. Thanks to everyone! Our staff team supports 24 adults with intellectual disabilities, many of whom require orthotics and orthopedic footwear. 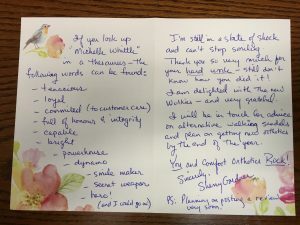 A couple of year ago Comfort Orthotics was mentioned to us, and we’ve been customers ever since. We wanted to take this opportunity to thank the staff team at Comfort Orthotics for their exceptional service and quality products. 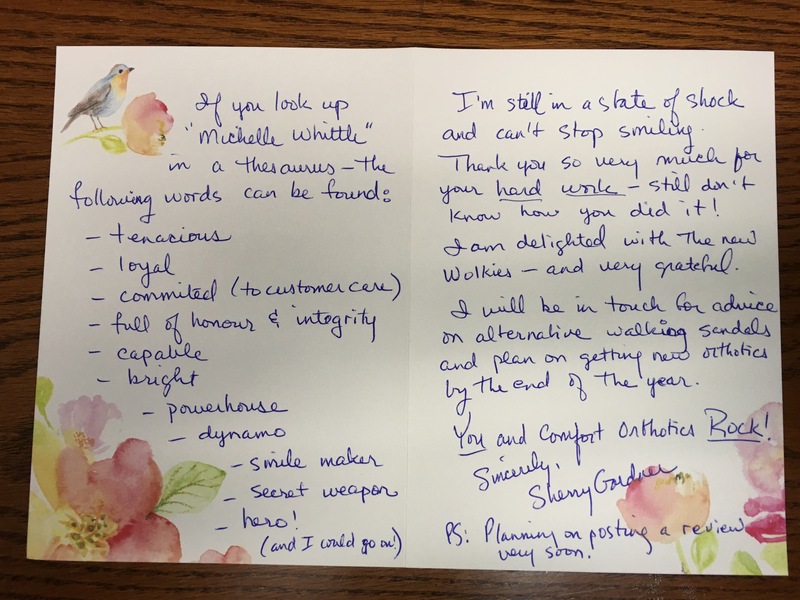 Whether it’s Tom answering all of our questions and finding solutions to many problems we’ve faced, or the front office staff greeting us all by name, with a smile…and coffee, we always feel like valued customers. On behalf of the many people we support, many thanks to all of you. In October 2007, I was told that I needed orthotics and orthopedic footwear. After being assessed by Tom it was brought to my attention that my current footwear was causing all my problems. 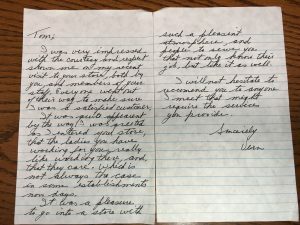 I was fitted with shoes of proper width and structure along with knowledge on how to fit and check for support in appropriate shoes in the future. It is now May 2011, and I was in recently to see the Comfort Orthotics staff to purchase new footwear. Tom and his staff are very patient and knowledgeable. My feet and legs feel great. I am finally comfortable and pain free. Thank you Comfort Orthotics! I wanted to thank you both. When I came into your store in July with my new prescription for orthotics from my Doctor I must admit I was sceptical. I had already been wearing orthotics from another firm, yet I had been suffering from chronic foot pain for months. I was treated with complete professionalism. The new orthotics were much superior to my previous orthotics which slipped around in my shoes. I followed the suggestion of combining new orthotics with shoes, that fit and function properly for my feet. The improvement was remarkable. Within a few days my feet didn’t hurt. Two months later my daughter and I went to Africa where with good quality hiking boots and your company’s orthotics I was able to successfully climb Mount Killimajaro, a gruelling 6 day hike. Subsequently I have purchased another 3 pair of orthotics and several pairs of shoes. My feet feel great. Thanks Tom and Lisa for running such a great store where people will take time to look after the customer, a skill that seems to be lost these days. I have been having my shoes significantly modified at Comfort Orthotics for more than 10 years. Having had Polio and a hip replacement, I need shoes that fit my specific needs. 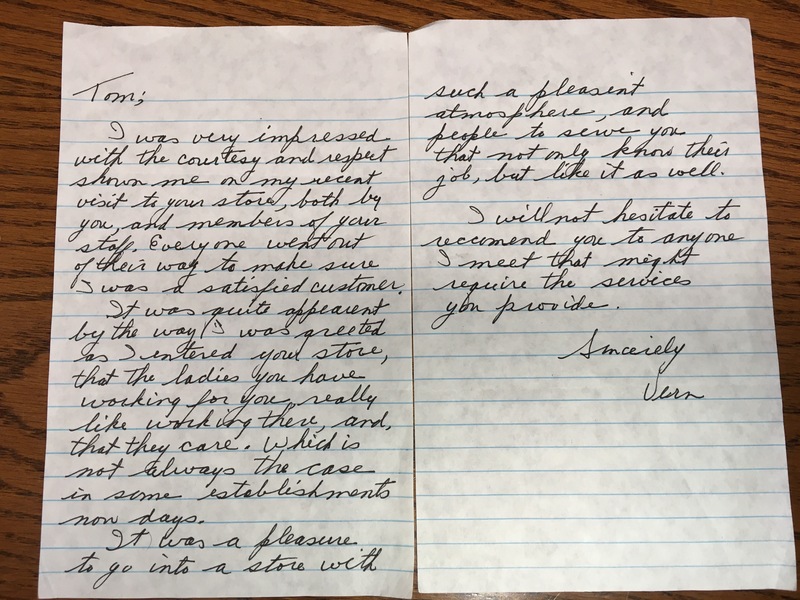 I have had wonderful service from Tom and the staff, offered in a very professional and pleasant manner. I have had a variety of footwear modified, including regular shoes, sneakers, golf shoes, hiking boots, overshoes, and wading boots. The well-balanced lifts Tom has created have made my activities much safer and easier. I highly recommend the work Tom and his staff do, always on time and at reasonable prices. For several years, I have annually lost the toe nail on each of my big toes. They would discolour from the base up and loosen and eventually fall off or have to be cut back. It was not pretty! I shunned salon pedicures and dreaded the sandal season. I had convinced myself that this was caused by the pressure of tennis shoes, skates, and other footwear, as my great toes are longer that the rest of my toes. With your suggestion, approximately three months ago, I decided to give this product a try. In that time, and with regular use, my toenails now have healthy looking nail beds and are almost fully grown out — just in time for summer. I will continue to use this product and to be grateful for your suggestion. Thanks so much.